Cut sandwich rolls in half. Spread horseradish sauce on both sides. 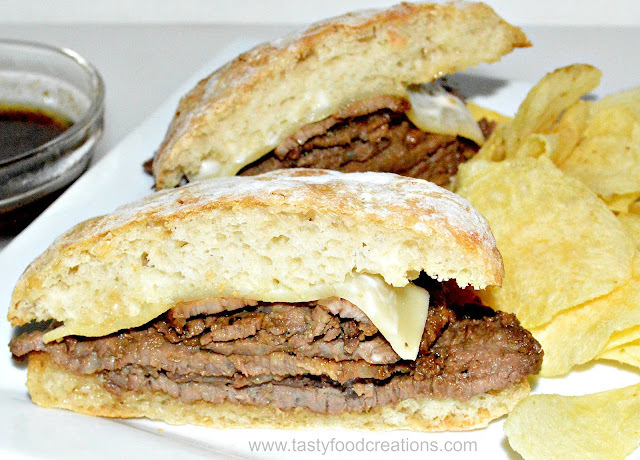 arrange roast beef on bottom side of roll. 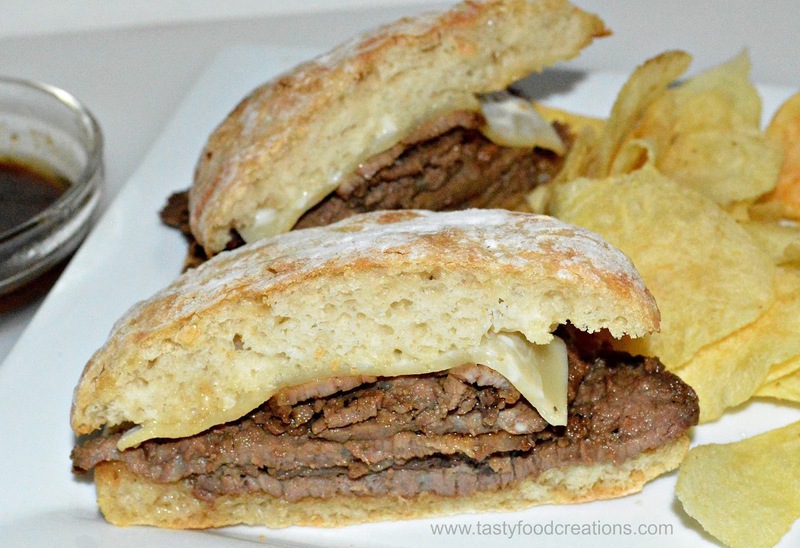 Top roast beef with cheese. Close it with the other half of the roll. 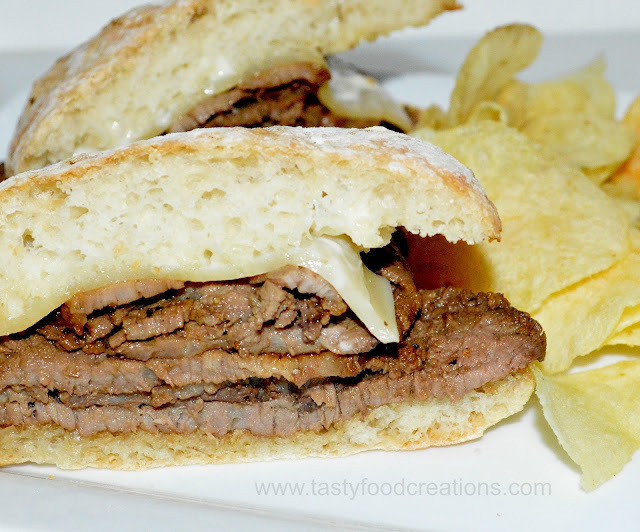 Cut in half and serve it with au jus or juice from when you cooked your roast beef.